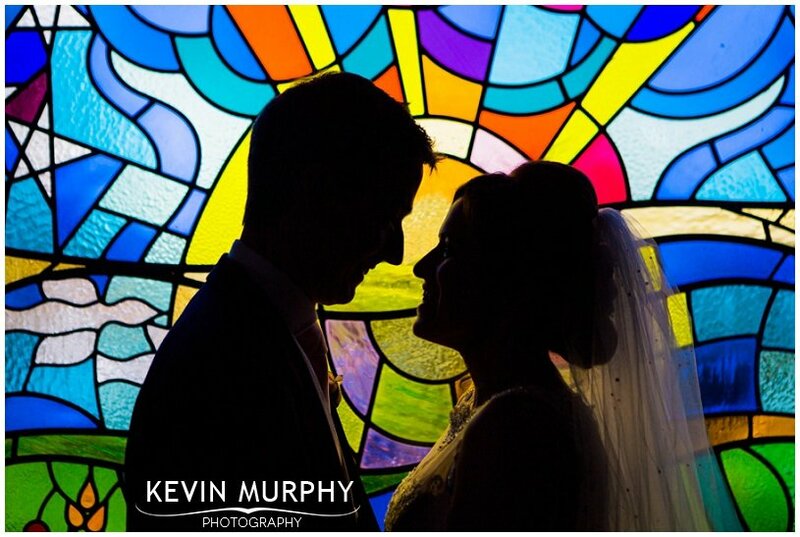 Gemma and Joe were married in the Star of the Sea church in Quilty and held their reception in the Inn at Dromoland. It was a day full of little secrets and surprises – I was almost afraid to open my mouth for most of the day in case I gave something away! There were even surprises that neither Gemma or Joe knew about! 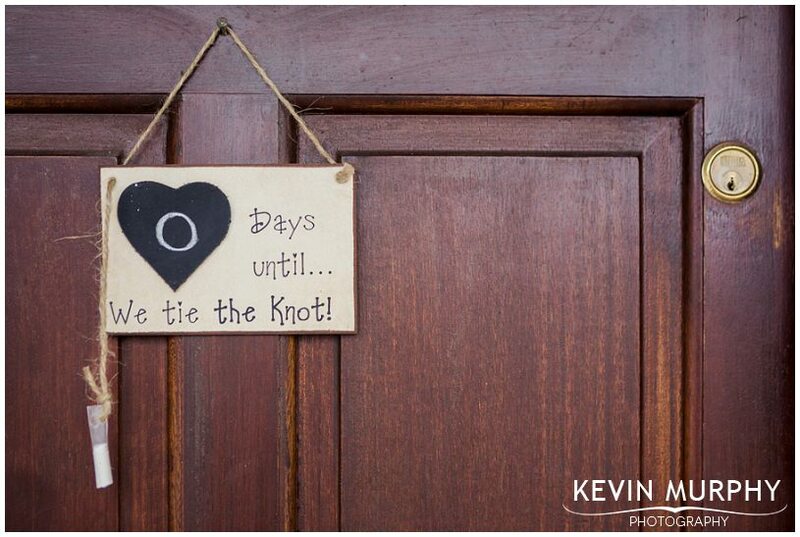 The decorations Ciara had put up around the house they were renting for bridal preparations. The duelling DJ’s in the house – from Deep Purple to REM. The tissue supply – I’ve never seen such a huge and thorough selection! A surprise Skype call from one of Gemma’s best friends in Australia. Almost accidentally burning the church down. A surprise custom restored tandem bike. Denis and Gemma’s dad taking the tandem for a spin. The cake, which was made by Gemma’s parents. 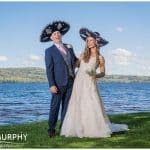 Caitriona and David met while in university in Newcastle and travelled back to Caitriona’s home town of Killarney to get married. We were fortunate to get some great weather and scenic view (and a little less fortunate the the priest got delayed by an hour on the way to the church). It was a lovely intimate day, with Caitriona and David getting to spend a lot of quality time with each of their guests, especially during the drinks reception in the Killarney Park hotel. The sense of humour Catriona shares with her bridesmaids Sam and Eliza. I enjoyed the banter that morning as everyone got ready. The amazing view from Catriona’s parent’s house of MacGillycuddy’s Reeks. Breathtaking. Those chickens don’t know how lucky they are! Dating and keeping the champagne cork for posterity. Caitriona’s dad’s vintage orange beetle. The always epic Killarney cathedral. A quick visit to Ross Castle in the sunshine. The meaningful guide dogs badges as wedding favours. 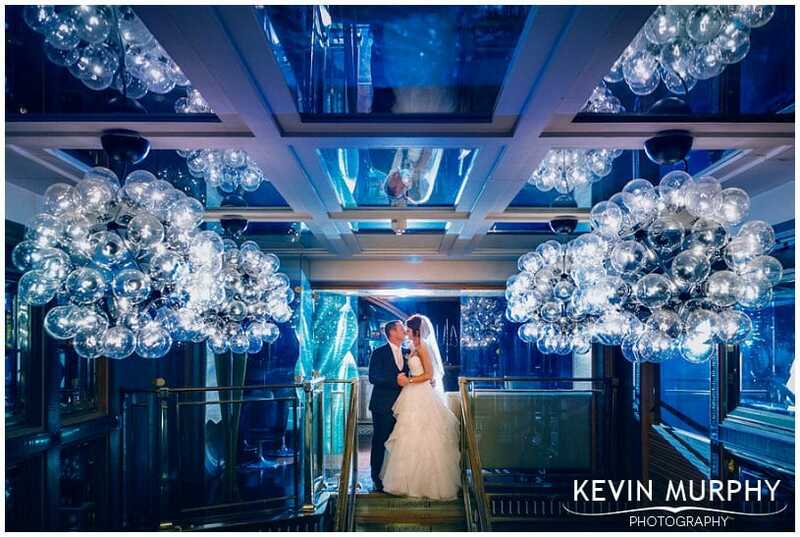 Kevin photographed our wedding earlier this month and was terrific! He was a calming presence on the day (the priest was an hour late! ), was patient, made a wonderful slideshow of preview photos (which he showed after dinner), and (as promised!) at no point did he make us lean against a tree while staring into the distance. The photo’s he has sent us so far are amazing – we can’t recommend him highly enough. Linda and Tony set a new bar for how relaxed a couple could be on their wedding day! Nothing could phase them. And it was great! Because they had no worries whatsoever they were able to sit back and enjoy the day. 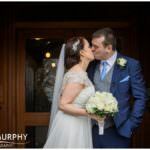 They were married in Linda’s local church in Tubber and held their reception in the Falls Hotel in Ennistymon. The hard working child of Prague. I loved the flowers (from Sheena at West Clare Flowers). Having a laugh with Linda and Deirdre (and Val and Linda and Declan) as they got ready in the morning. Driving in style in their Mazerati. Stopping off en route to the hotel to say hello to their dog Casper. The creme egg wedding favours. Tara and Stephen travelled all the way home from Sydney to get married. 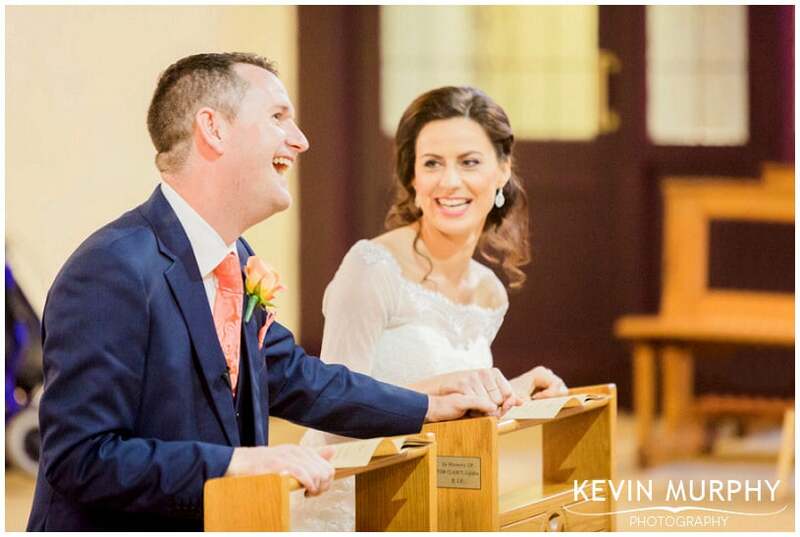 They had their ceremony in Newcastle West church and from there went to Ballyroe Heights Hotel in Tralee for their reception. We made a quick stop at the windiest beach we could find to take some photographs – it wasn’t as warm as Sydney but it looked just as good! The first ever father of the bride jewelled dressing gown. Equality – finally! Tara’s sister Tessa and Stephen’s brother Mike skyping in from Australia for the ceremony. The church music Trevor and Sharon – I loved their take on some modern songs. For Chris’ sermon – the only priest I know who could come up with a sermon for a wedding based around Coca Cola and Anne Frank! Climbing to the top of that sand dune – totally worth it! Nobody said it was going to be easy! Kevin thank you so much! The pictures are amazing, as was the slideshow, thanks for including Tessa, Lily May and Mike, that was lovely! We barely noticed you were there and you were so easy to deal with! Olivia’s flower girl dressing gown and Noah’s page boy Batman pyjamas! Being photobombed by a pig. Anna singing during the ceremony. Wow, I wasn’t expecting that! Fr. Chris’ daffodil day inspired sermon. Going to King John’s castle, where James proposed to Anna, to take the bridal party photographs. Both a magician and a live band entertaining the guests during the drinks reception. The view from Joanne’s house that morning where Ciarán was getting ready. Breathtaking. The customised wooden box for their wedding rings. How relaxed the bridal preparation was in the hotel. If it wasn’t for the fact that she was getting married, I think Leeanne would still be lounging around drinking tea and enjoying the view! Both mothers lighting the individual candles during the ceremony. Aisling, Ciarán’s niece, doing the hand fastening. The chocolate favours which were made by Leeanne herself. “What time is it?” was how it all started. An Irish girl sitting on a bench in New Zealand next to a local boy. 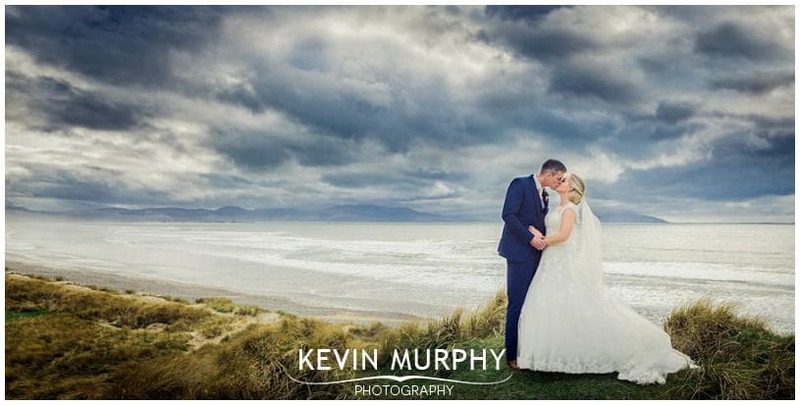 Fast forward to a rainy winter day in Ireland when Kerri and Jono, now joined by their son Hudson, tied the knot surrounded by family and friends. The high spirits in Niall Colgan’s that morning as the girls got ready. The groomsmen sampling the mystery drink Jono had included in their hip flasks! Kerri taking time out on her wedding day to just sit on the floor and play with her son. Hudson’s sign for Jono as he was carried up the aisle by Yvonne. Having another photographer on hand to help out – thanks Eva! 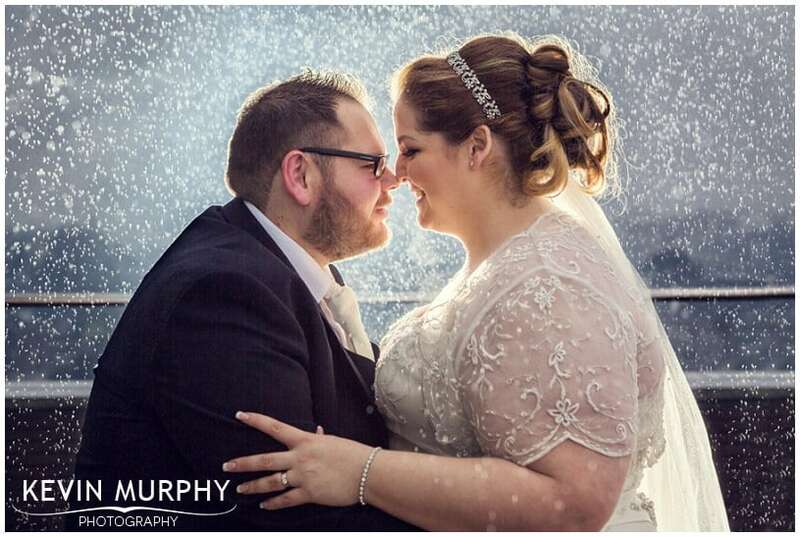 A bride and groom that were happy to go outside in the rain (and dark and fog) for photographs. Thanks guys! Two of the best, most handsome violin players ever! Canon in D never sounded as good. The New Zealand contingent – what they lacked in numbers they made up for in enthusiasm, friendliness and a pinch of madness! Kerri and Jono’s big announcement at the end of their same day slideshow. You are an amazing photographer, we’re very lucky you were recommended to us. It didn’t feel like there was someone in your face – it felt like you were a friend laughing and sharing in our day with us. We’re very grateful Kevin, thank you. 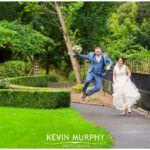 Jackie and Barry made the long trip home from New Zealand to get married in Adare. It was a fun-filled day and I personally loved every minute of it. 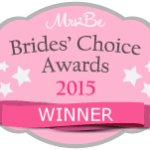 By the time I left Jackie’s house that morning my face was already sore from laughing – and the reception was so good I almost had a cramp from smiling! 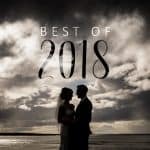 Some of my favourite photographs are from the speeches and the dance floor so be sure to scroll all the way to the end. The only downside was that we had to call off the bridal party sack race due to the weather! The spread of fresh food Jackie’s mother Gwen had laid out that morning. It was such a hospitable house – thank you! The NSFW alternative to saying “cheese”. The bridesmaids Chinese impressions. Who knew Orla could speak fluent Chinese?! Henry, the page boy, deciding after about 12 seconds that the ceremony really wasn’t his scene. The umbrella-less dash to the Dunraven. Their native birds of New Zealand table settings and wedding cake. Jackie and Barry humouring me and going outside in the cold and dark for a photo – thanks guys. Colm catching me taking a photo of him preparing for his speech! And the speeches themselves – especially the exam celebration fund story. The most epic introduction of the bride and groom onto the dance floor – what a frenzy of excitement. And that Siege of Ennis?! Chaos. The best kind of chaos. I just wanted to say a massive thank you from Barry and myself. You were so fantastic on the day and your relaxed and easy going manner put Barry and I at ease and meant we were totally comfortable – even when our photo was been taken! 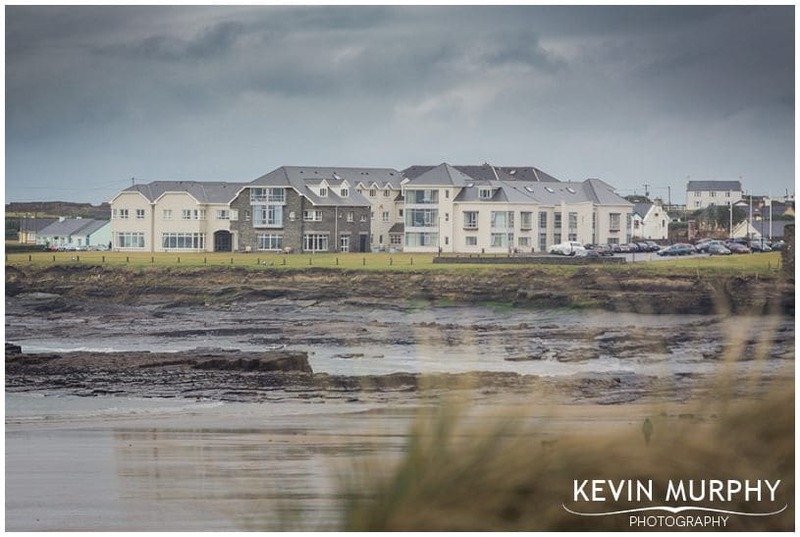 Its not just the two of us who’ve been raving about you, you now have quite a fan club in Limerick and Wexford – many of the guests commented on how fantastic you were and the slide show was an absolute winner! Anyway once again thank you so much, you really played a huge part in making the day as successful and enjoyable as it was. 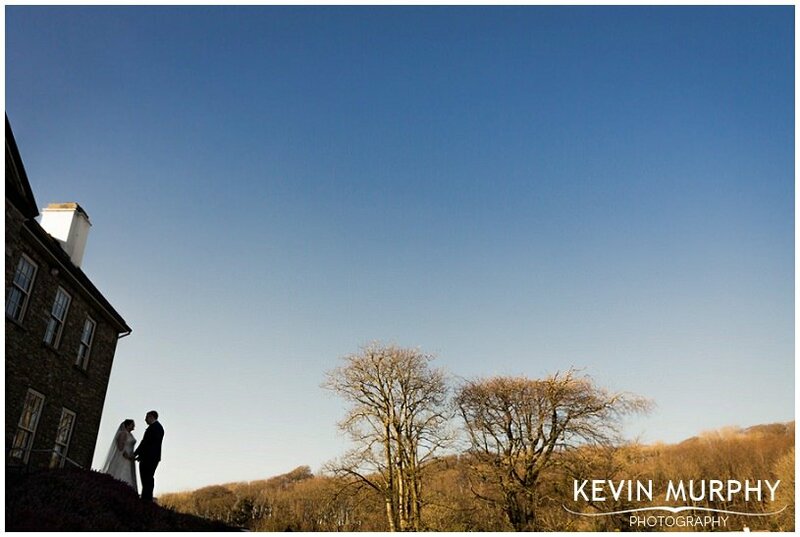 Jessie and James travelled home from Sydney to get married in their local church in Cordal. They grew up within a stone’s throw of each other so it was nice to call into both houses on the morning of the wedding. James is one of the nicest guys you could meet and Jessie, well she’s lovely and fair as the rose of the Summer. 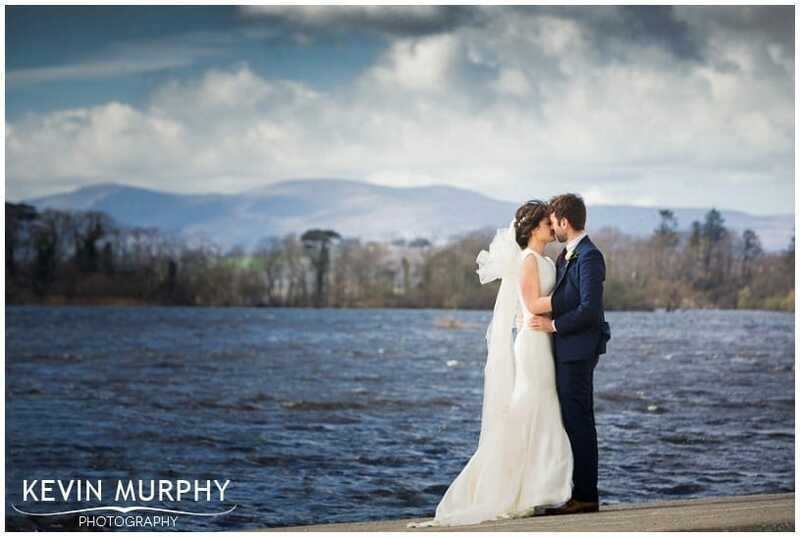 😉 We had great plans for photographs in Killarney, but they didn’t bring the Australian weather with them! Despite the rain, it was a great day and it was a lot of fun (especially on the dance floor!). The amount of hair spray used in Jessie’s house that morning – my hair hasn’t budged since! Amelie’s default camera star pose. The locket Jessie attached to her bouquet. Pockets on bridesmaids dresses. Win! How much Jessie and James enjoy each other’s company. Finding some nice places to take photographs in the hotel. The speeches were great and the dance floor was even better – the longer the day went on the better it got! It really was the best day and we can’t thank you enough for taking our pictures. You were an absolute pleasure and we loved having you with us on the day. I lost count how many times people asked who you were because they were so impressed and I think my family want to kidnap you.